For those of us residing in the Midwest, the winter of 2013-2014 has been especially harsh. 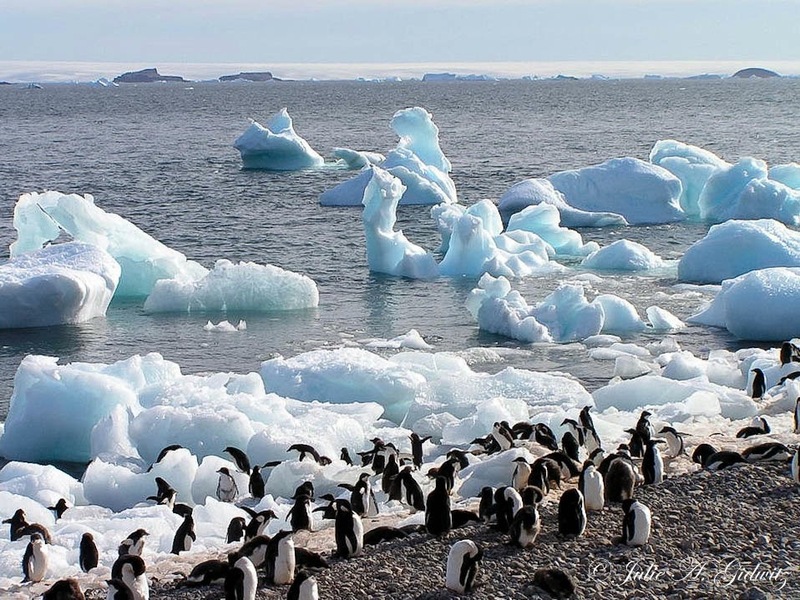 The frigid sub-zero temperatures and continuous record-breaking snowfall have brought memories of my February 2006 Antarctica trip to the forefront. Though birding and photography had yet to become passionate hobbies of mine, I hope readers will find this trip down memory lane of interest. Our adventures began as we departed from Ushuaia, the southern most tip of Argentina. After a day and a half of sailing through the formidable Drake Passage, we geared ourselves up, boarded zodiac boats and motored out to our first destination, Aitcho Island. 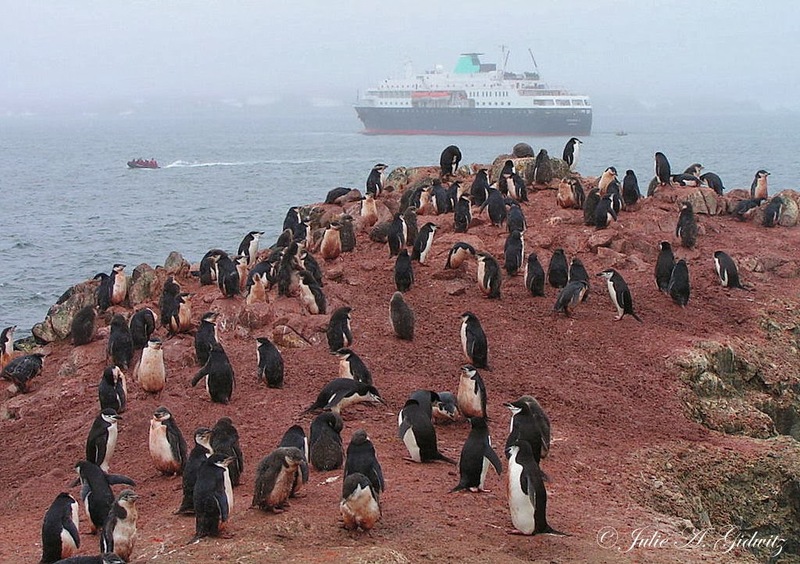 What captured our attention immediately was the multitude of penguins inhabiting the island. 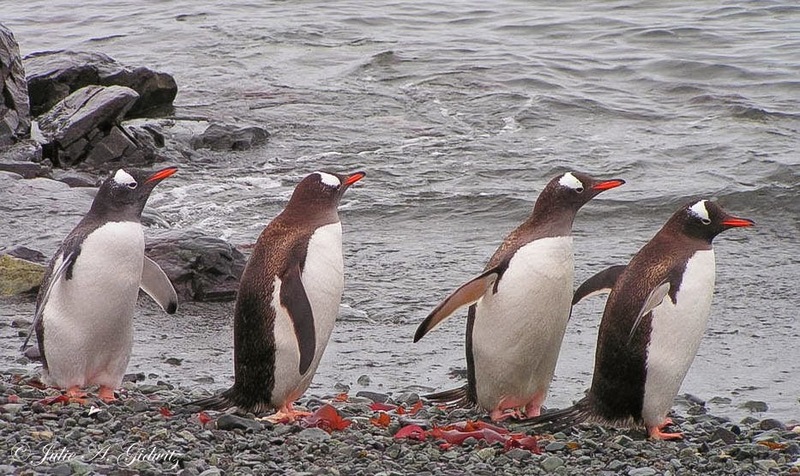 We observed Gentoo and Chinstrap Penguins everywhere, each clustered on their own respective high points. 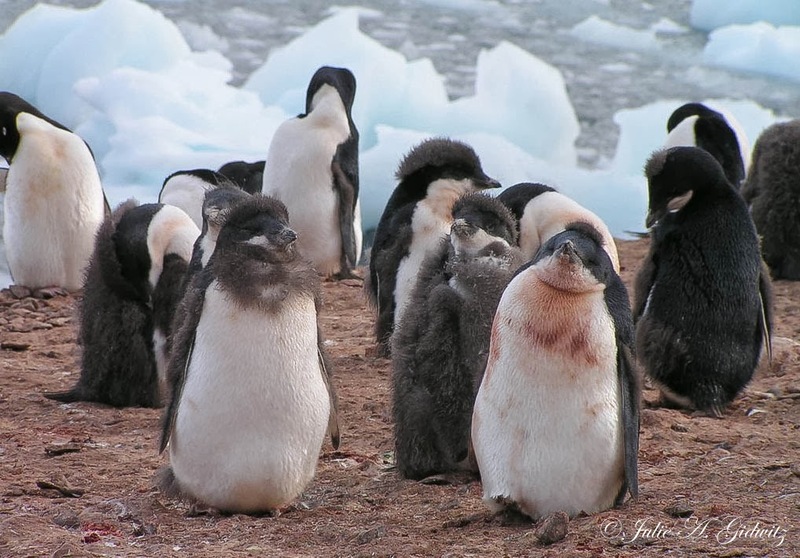 Thousands of downy chicks squawked, shoved and hastily waddled about demanding food from their weary parents. 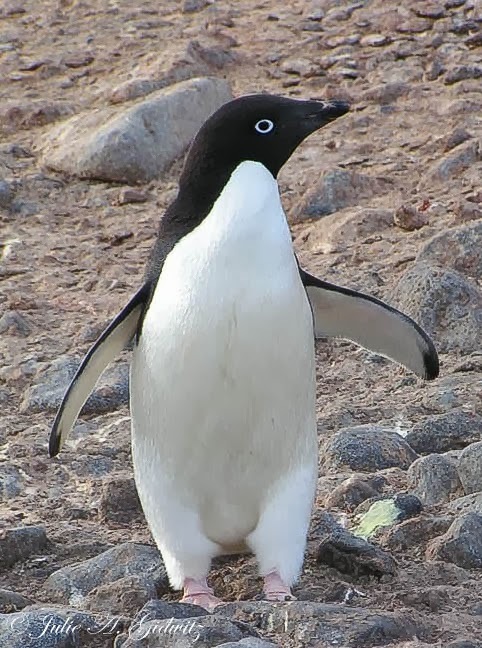 The staff allowed us to explore the island and observe the 14,000 pair of penguins and various other birds such as Southern Giant Petrels, Antarctic Skuas and Snowy Sheathbills. 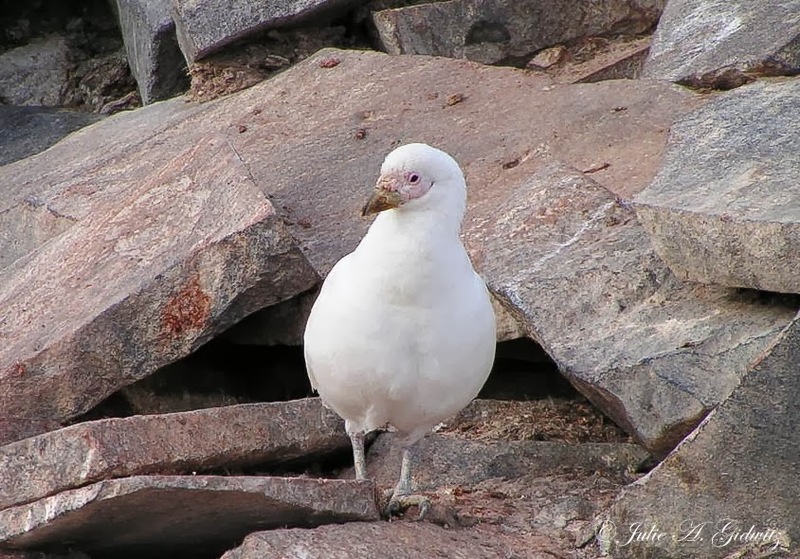 Snowy Sheathbills are Antarctica's only land-based bird. An opportunistic scavenger, these birds will eat almost anything they can locate and/or steal. 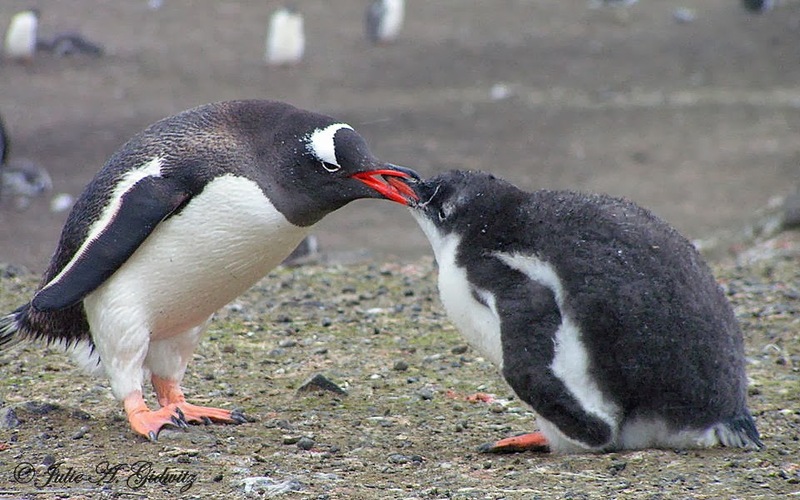 Snatching foods from penguins is a common practice. Snowy Sheathbills also forage along the shoreline seeking fish, invertebrates, carcasses and any other scrap or refuse they can find. 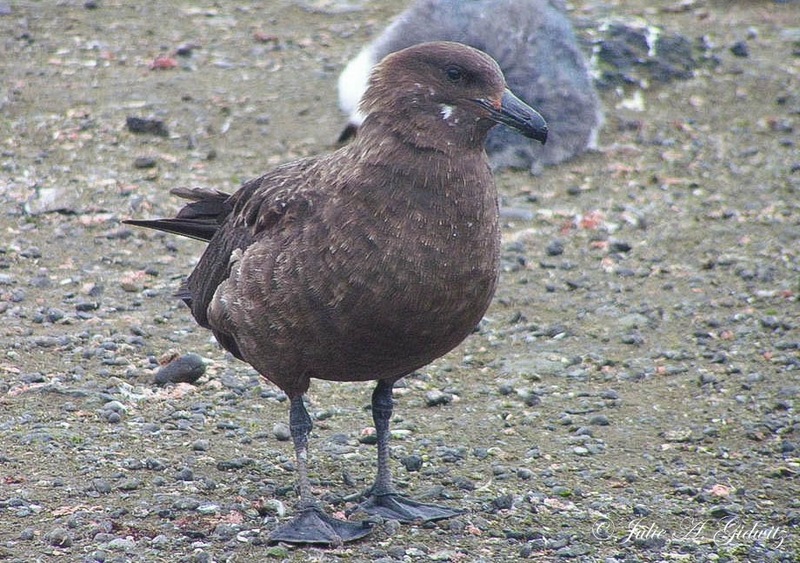 During breeding season, these very aggressive birds are known for stealing food from other birds (petrels and albatross) in midair and also preying on penguin eggs and vulnerable penguin chicks. 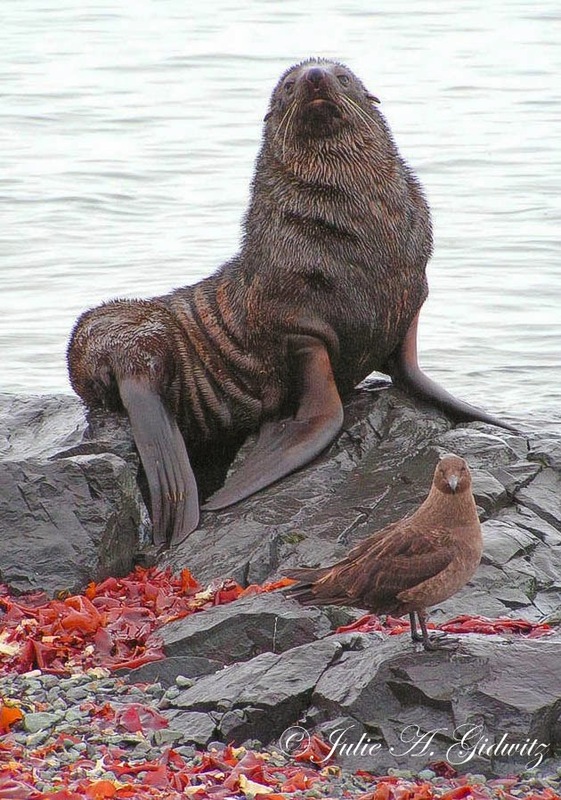 Some skuas can be found hanging around seal and sea lion colonies. They feed on placentas, deceased pups and feces. 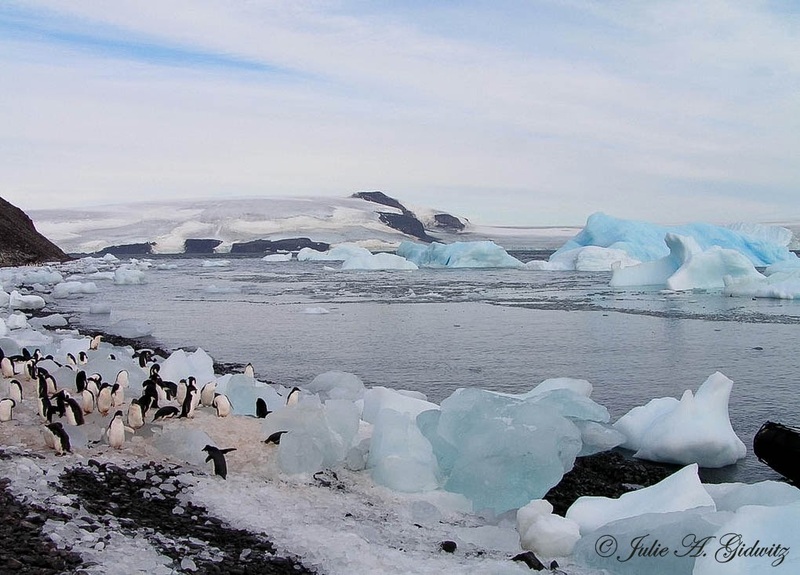 The next day we entered the eastern side of the Antarctic Peninsula, an area known for its spectacular scenery. Our first landing was at Paulet Island where we observed many small icebergs and blue bergy bits that had eroded into interesting shapes. 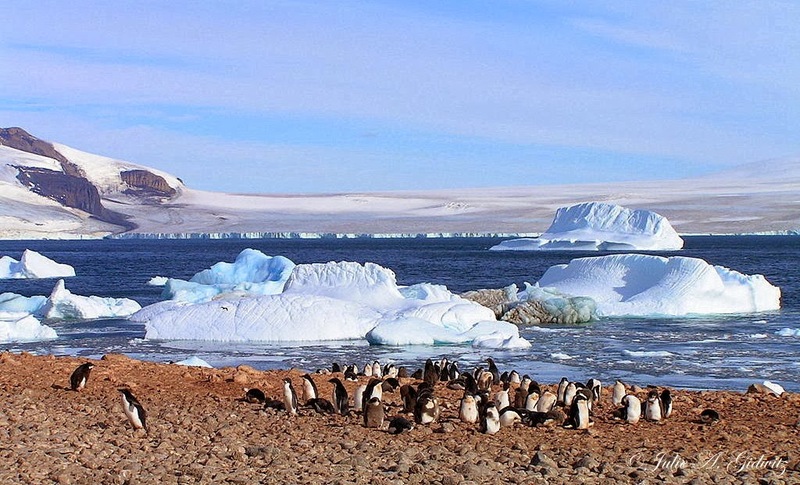 On this island, we had a chance to wander around and see vast numbers of hungry Adélie Penguins. 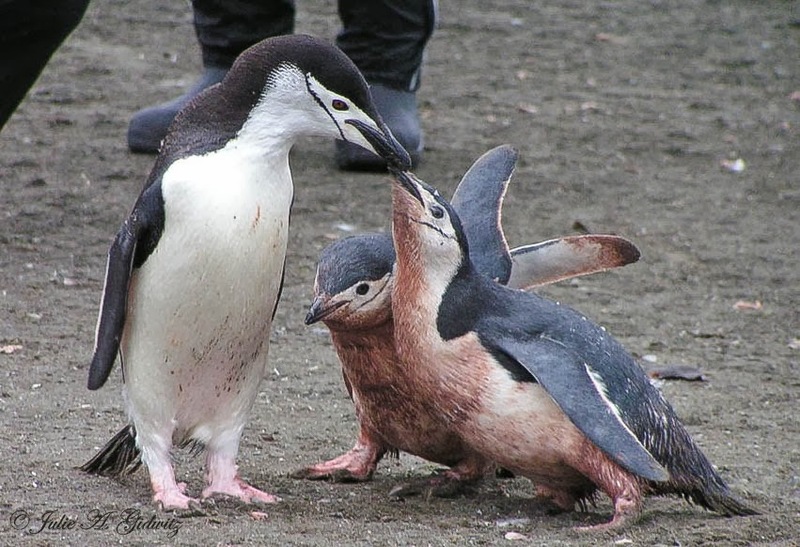 The chicks would solicit food from almost any adult penguin that passed their way, but the adults only feed their own offspring. Sometimes the adult penguins would run from their own chicks in order to avoid the hungry mouths of unrelated youngsters. In turn, the blood related chick joins the chase attempting to obtain its daily dose of requisite sustenance. The result is a hilarious helter-skelter sprint around the rookery until the parent eventually relents and allows the chicks to feed. At lunch we anchored at Brown Bluff. 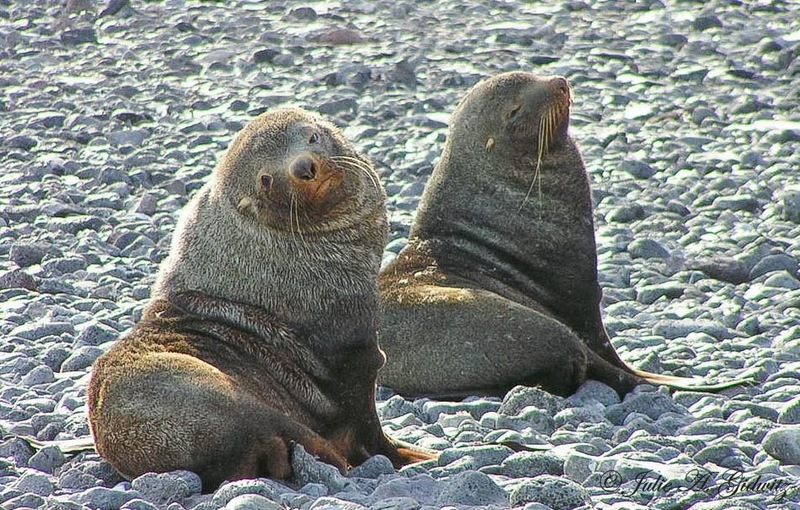 There we took note of many Weddell and Fur Seals hauled out on the beach. 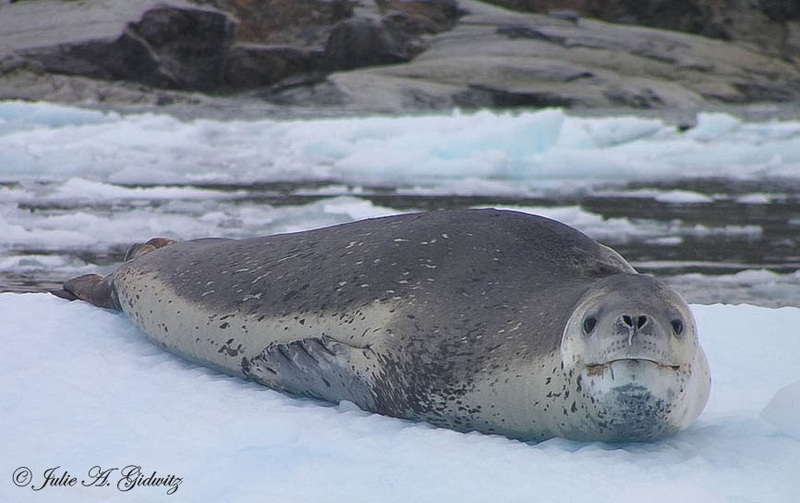 Weddell Seals are true ice seals that spend their whole lives in the Antarctic. Once again, we observed an abundance of penguins. 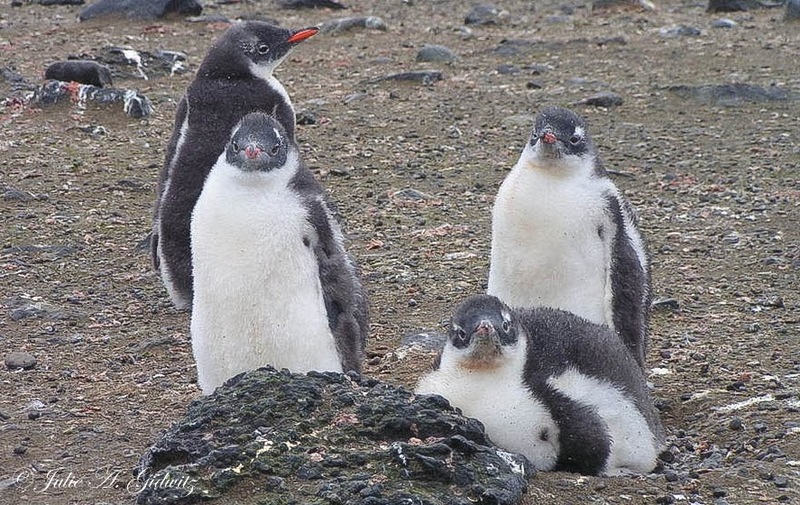 In early February, the young penguins start to molt their baby chick feathers, thus they sport very silly looking Mohawk and shag hairstyles. 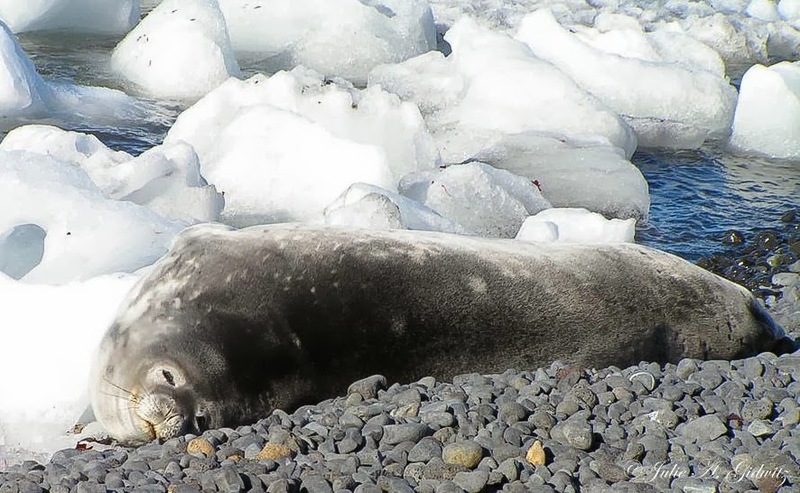 Our next excursion took us to Mikkelson Harbor where we stepped onto a rocky island filled with Gentoo Penguins and Fur and Leopard Seals. Hundreds of huge bleached whale bones littered the shore creating an interesting texture to the landscape. Later in the day, we boarded the boats and set off on our first zodiac tour. 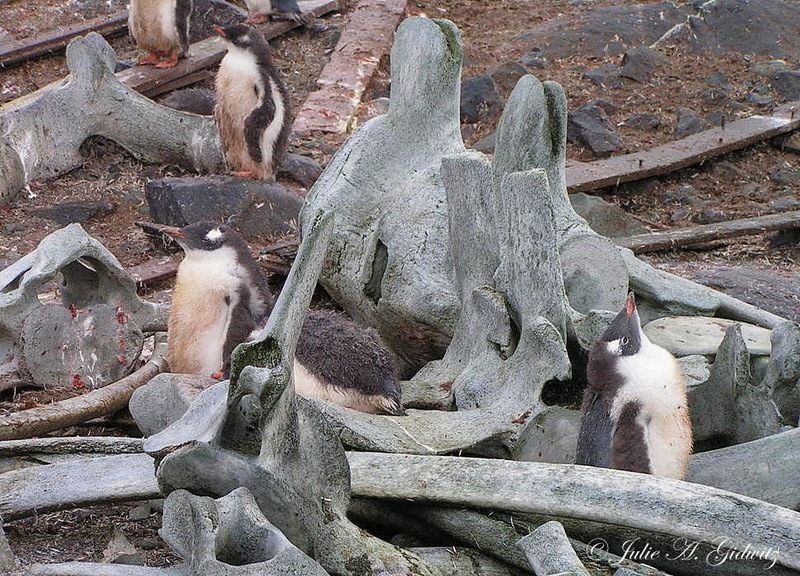 This excursion took place in a pristine area known as the "Iceberg Graveyard". 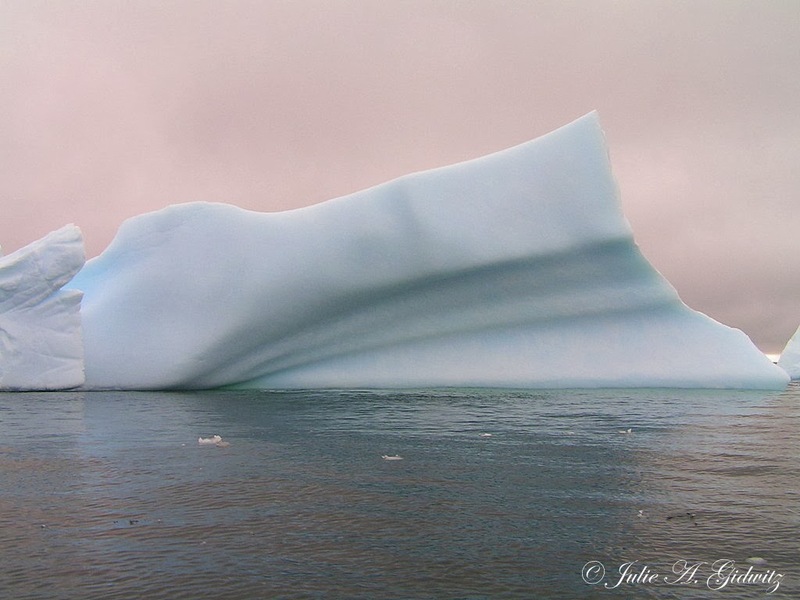 It was filled with gorgeous icebergs of every shape and size. Each berg looked like a stunning work of art, one more intricately carved than the next. On our zodiacs, we wove in and out through the wind-carved sculptures, gasping in awe at the breathtaking sights. 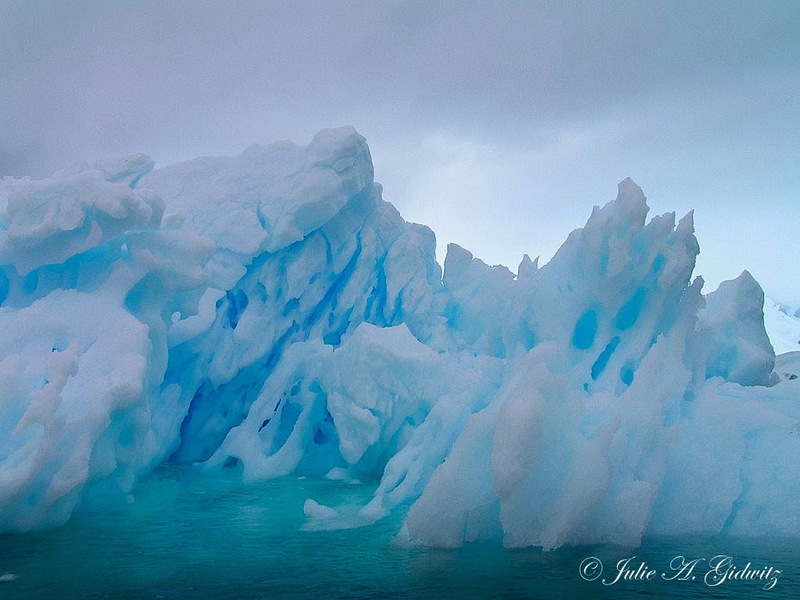 Please check back on March 2nd for a post on the second part of my spectacular trip to Antarctica. What an incredible trip this must have been for you. Your photos of this event are totally amazing. What a time you must have had exploring these islands. I will definitely keep my eyes out for your next post! What an amazing trip, indeed! Your photos and story tell of an incredible journey! I really enjoyed the great photos of all the awesome birds you saw and their behaviors; looking forward to seeing more next month! 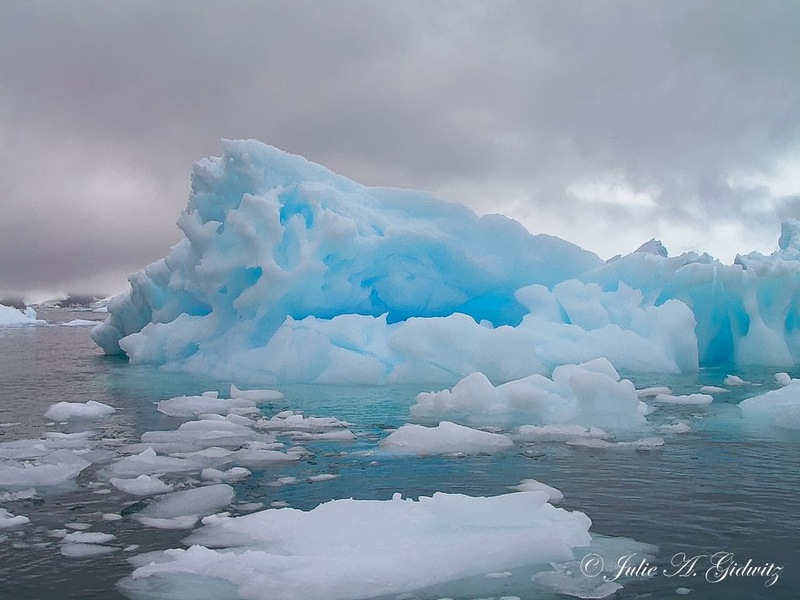 These are amazing....the ice bergs glow blue! What a wonderful experience!